A Piano Player and Singer Plays 10-15 Gigs a Week in the Los Angeles Area? Being a piano player and singer was my goal since I was very young. But, only huge artists like Elton John or Billy Joel seemed to be making a living playing piano and singing. Luckily, that didn’t really stop me. I realized when I was about 19 that I could just play a gig every day. And, if I made 100 a day I could be able to make a modest living. And the best part, I could do what I love. Once I got further along in my pursuit of the gig a day program of course I realized other things. For one, that I could play gigs that I would make thousands for a short gig. That meant that I now had a “job’ that was potentially going to be able to make a pretty good living. Sadly the gigs that pay thousands a day did not appear every day! But, happily I found that there are many different gigs that are all fun to play! For instance, there are many incredibly nice venues in the Los Angeles area that have a piano player and singer for their patrons. I have had the honor of playing regularly at the Pacific Palms Resort in La Puente on Tuesdays. And the gig as lasted for the past several years. It’s a beautiful setting in the summer particularly playing out under the stars over looking a gorgeous valley. I played for over 10 years every Monday night at the Parkway Grill in Pasadena. It is one of the finest restaurants in the area and the piano is beautiful. They reorganized and don’t do piano on Mondays and Sundays but I still play there regularly several times a month. 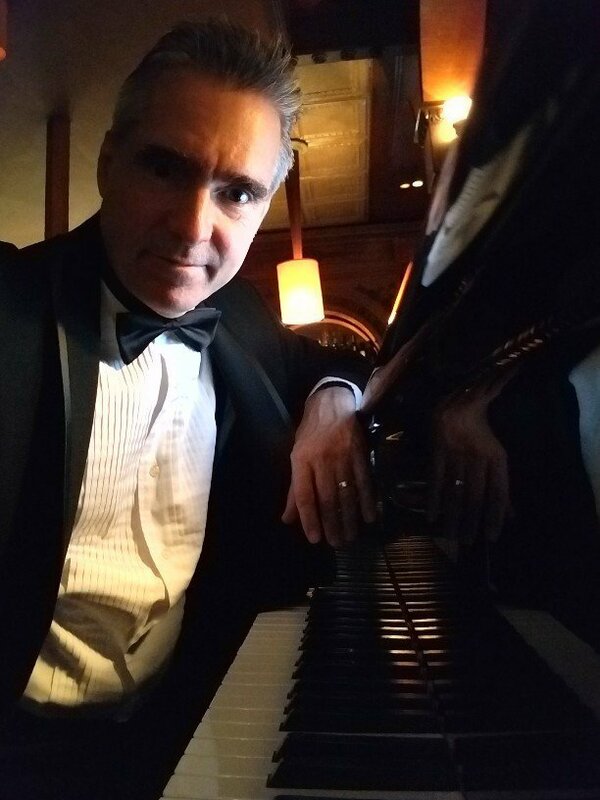 I play at Larsen’s Steakhouse in Valencia every Sunday from 5:30-9 pm. It’s a very excellent venue, great food and a fine piano and I bring a small amp to sing through as well. Great room. But, since I also produce music for film and TV and Singers and Songwriters I have found that there are a lot of gig opportunities in the Studio. Plus, I create music every week for different projects. This is quite varied and fun. I’ve produced full records for Singers, I’ve created music for International Singers, I’ve created music to accompany poetry gigand recorded special songs for special moments. And of course have produced Film Scores and music for TV shows. Then there are many Senior Living venues in Southern California and I have found that it’s quite fulfilling to play for wonderful Seniors. Since I love the American Songbook and Show tunes, and Elvis and The Beatles me and my octagenarian buddies are a good match. And, I’ve found it’s just fun to bring beauty into the week of that generation. Plus, there are many opportunities to play for our Elderly. In a city of 15 Million there are all kinds of excuses to have wonderful Music! I just try to put my self out there so that I can play a lot. Also, the number one reason I play a lot if that it’s about the funnest and more rewarding thing I do in my life. Seeing people smiling and laughing and having a great time is pretty hard to beat. It’s has not gotten old and I don’t think it ever will. Hire Piano Player and Singer in the Los Angeles Area! I love what I do. I literally can’t get enough. If you think we could be a good fit or just want more info. Or text is great too! I have videos and testimonials on my first page.